This Mostly Sativa strain produces a High Preferred Indoor: 600g/m2 yield. Laughing Buddha Feminized Cannabis Seeds by Barney's Farm Seeds: This Mostly Sativa strain produces a High Preferred Indoor: 600g/m2 yield. These seeds are ready to harvest in 70 to 75 days in End October. 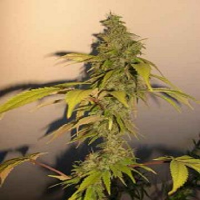 This Feminised seed grows well in Greenhouse, Indoors conditions. Additionally it can be expected to grow into a Medium plant reaching 100 to 110 cm (indoor). This strain has Thai x Jamaican Genetics. It has a Very High (over 20%) THC Content. The CBD content of the strain is Medium (1 to 5%). Laughing Buddha is an 80% sativa strain that is a cross between a land-race Thai and Barney's own Jamaican hybrid. 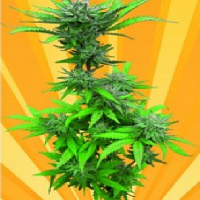 It produces an archetypal sativa effect that provides a rush of energy. For such a sativa-dominant strain Laughing Buddha is quite restricted in terms of its height reaching approximately 100 to 110cm. tall. It does, however, produce healthy side-branches which will need to be supported in the final three weeks or so of flowering due to the weight of the large, dense buds that develop. Indoors the flowering time is between 70 to 75 days with very good yields of 600gr/m2. outdoor cultivation will be restricted to regions that avoid early frosts as it will not be ready to crop until the second half of October in northern latitudes. THC levels are 22% with 1.6% CBD. Laughing Buddha exudes the intensely sweet perfume of ripe, tropical fruits and is one of barney's most fragrant marijuana strains. 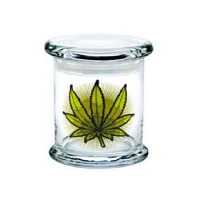 It was awarded the 3rd Prize Cannabis Cup (HTCC) 2003.